The firm performed an initial feasibility study to consider relocating the school or to renovate the existing campus. 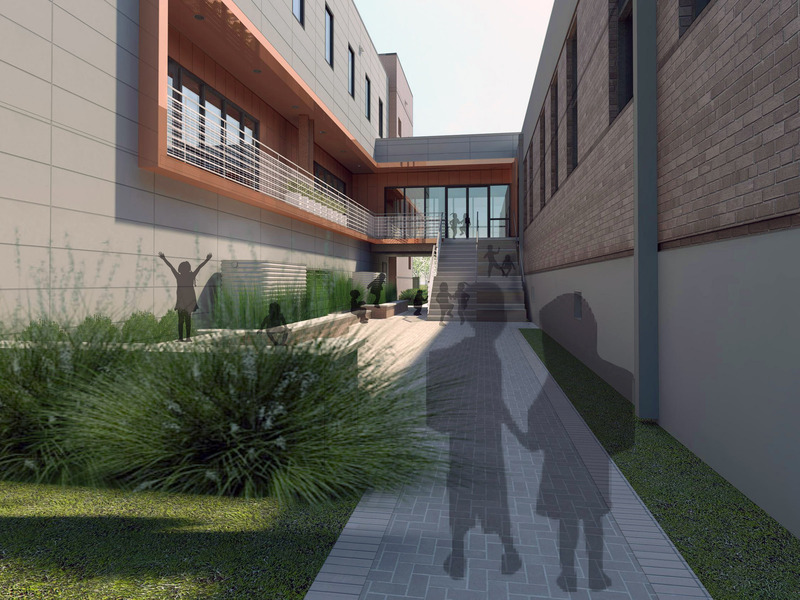 Based upon the decision to stay at the current location, a Master Plan was created to improve internal circulation, improve and enlarge existing classrooms, create a new entry and lobby, and improve the appearance for the existing school. Based upon the school needs, the master plan included a first phase of a new Lower School with eight classrooms. 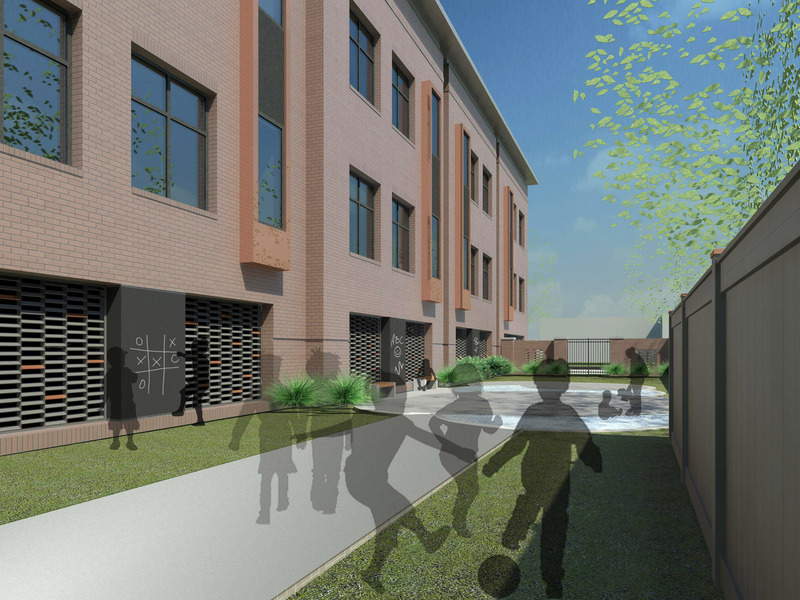 Phase one included renovation of existing Middle School to enlarge classrooms and improve exterior appearance with an entry courtyard created between the new building and the existing building. A Media Center/ Library and Science Classroom renovation for a private K-12 girls school in Charleston, South Carolina. 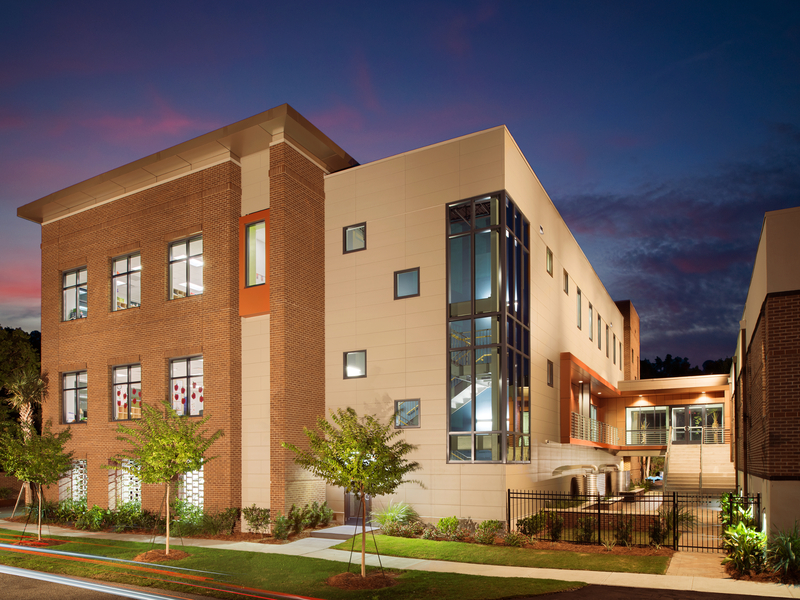 This Center for Christian Leadership at CSU is a two story conference, lecture, classroom, and faculty office building of 25,000 square feet. 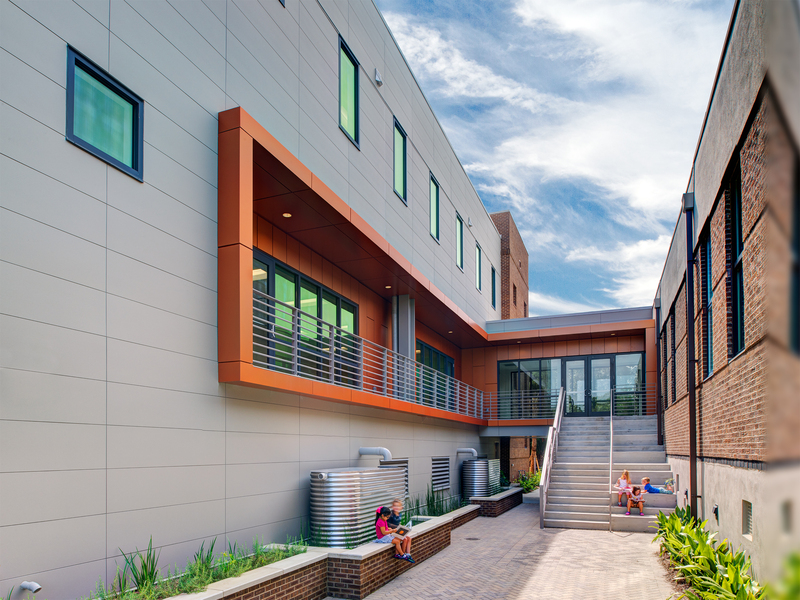 The architectural style, materials and colors blend in with the campus context. A new pre-K through fifth grade elementary communications themed school in North Charleston, South Carolina. 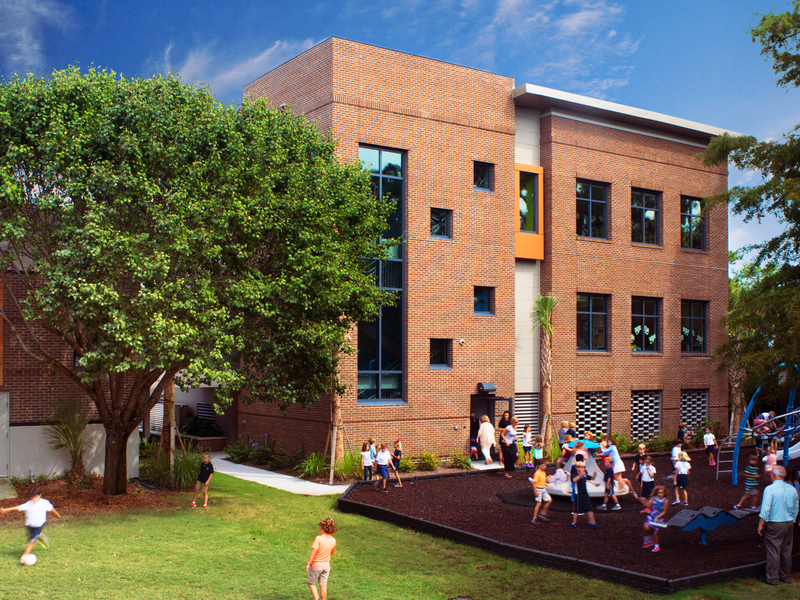 A new Lower School building with eight classrooms, support spaces, courtyard and parking garage connected to the existing Middle School building which was renovated as part of this project. This is the first phase of the campus master plan. A new 74,000 square foot 600 student elementary school for Pre-K through fifth grade for Charleston County School District.